The FootVibe Pro is small, portable, and easy to use, but don’t be fooled by its simplicity—it is a powerful tool that combines three types of treatments in one! 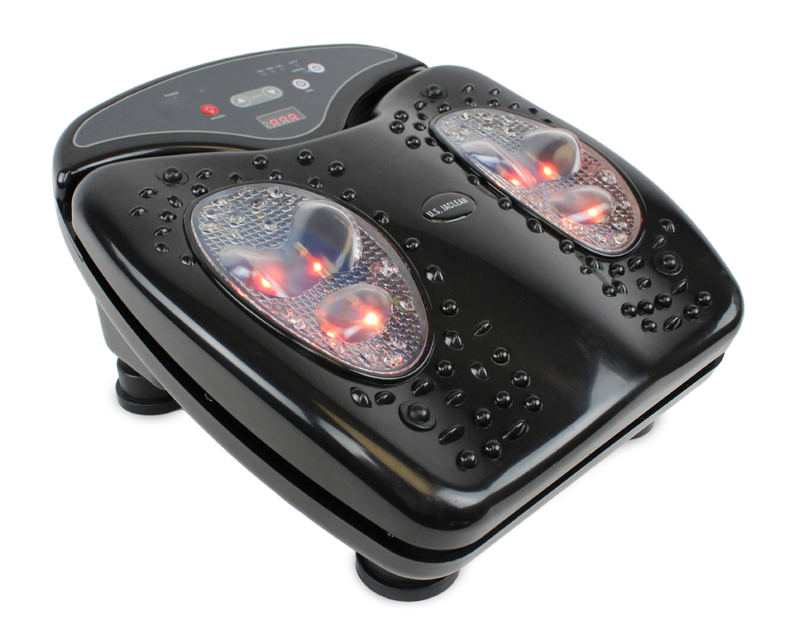 Infrared Light, High-Frequency Vibration, and Acupressure combine to give the soles of your feet and hands an invigorating, healing treatment. •Vibration stimulates muscle fibers and can increase blood flow, ease tension, and sooth pain. •High-frequency vibration causes less impact and is more effective. • It uses very little power, and comes with a replaceable battery. The FootVibe Pro uses infrared LED technology, giving you 8 different levels of infrared light that are positioned at key reflexology zones. Based on technology first developed by NASA, LED lights that transmit infrared waves have been scientifically shown to have positive healing benefits. How does it work? Even regular red lights can have a positive effect because of the way that light waves penetrate our cells, but light waves that are above the visible spectrum (called infrared) travel in longer wavelengths and at a higher frequency, and therefore affect us in unique ways that are shown to promote healing. It's not Just for the Feet! While specifically designed for the feet based on the theory of Reflexology, the vibration and infrared light features can be applied to many parts of the body. We’ve made the FootVibe Pro small, durable, and lightweight, so that you can easily position it all over the body. • The Auto Modes are available as 5 minute, 10 minute, and 15 minute sessions. 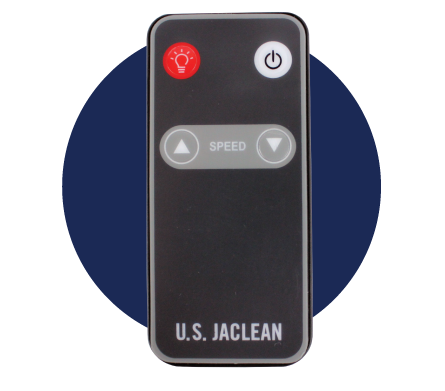 The automatic modes will cycle through the different vibration settings in order to allow you to experience the benefits of vibration at varying frequencies. • The Manual Mode allows you can use the machine on any length setting, and you can adjust the vibration speeds from level 1 (intense) through level 12 (very intense). 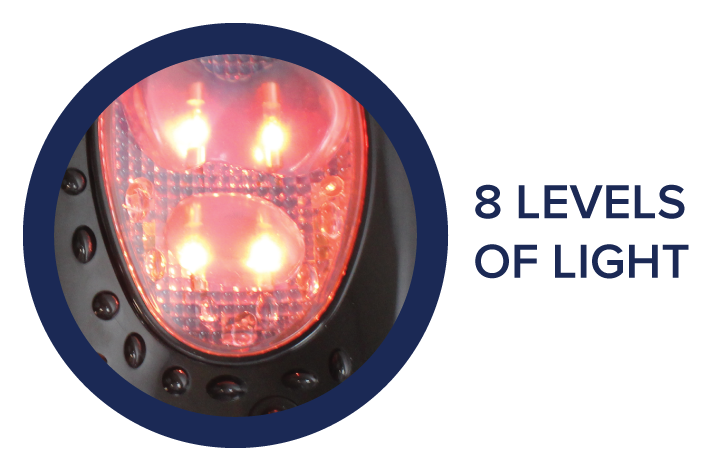 You can also adjust the infrared light intensity from level 1 through level 8. The base of the FootVibe Pro is studded with acupressure nodules that push on targeted pressure points, especially on the feet. • Part of Reflexology, acupressure is an ancient technique based on the fact that all of the nerves throughout the body are interconnected, and this system of nerves all end at the base of the feet. • By massaging and applying pressure to areas of the feet, you can “touch” every part of the body. Reflexology seeks to unblock of flow of energy throughout the body and to boost the functions of the immune system. Do the infrared lights have heat? No, the lights are not intended to use for a heating effect, although there is a slight warmth when the lights are turned on. What size feet does the unit fit? The unit will accommodate all foot sizes, and is specifically designed for average-sized adult men’s and women’s feet. Can I use the infrared light without the vibration? Can I use the vibration without the infrared light? Yes, in manual mode, both features can be used separately or in combination. I have ticklish feet. Will this tickle? Usually even people with ticklish feet do not feel tickled, because the vibration is fairly high-intensity and quickly effects a numbing sensation across the bottom of the foot.